I did a post a few months ago on navigating your grocery store ads. I thought I'd leave my grocery store ad soap box there, but I decided I have more to share. So, don't be surprised if you see a few more grocery ad/shopping posts in the future. I love grocery shopping. I always have. I love cooking for my family, and I love the thrill (yes, I call it a thrill!) of a good deal, so it's a win/win for me. I know there are plenty of you out there who don't love grocery shopping, you may even despise it. 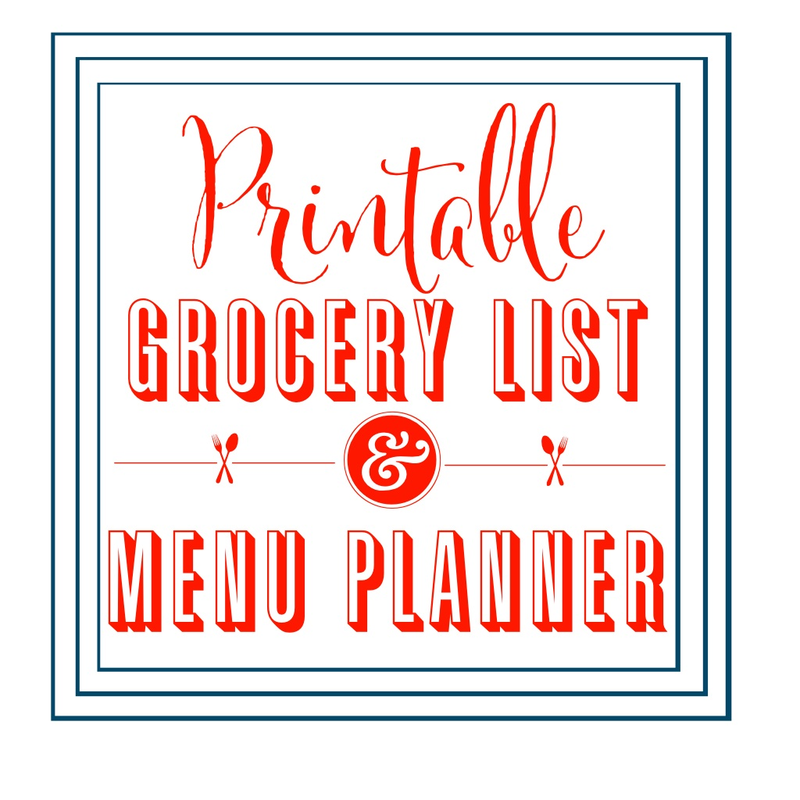 I hope that maybe a few of the tips I share here today will make your grocery shopping experience a bit more organized, budget- friendly, and maybe even enjoyable. First, I use my grocery store ads (I have a navigating your grocery store ads post that you can check out). I haven't always used them, but I've become totally dependent on them! Like I stated in my earlier post, I feel totally lost when I enter the grocery store without knowing what's on sale. I feel like a lost, wandering soul. Knowing what the deals are will get you in and out of the store quickly without spending extra money! 2. Wednesday nights I usually go through my ads. This honestly takes minutes, (click here to see why) and it's a bit exciting (I'm crazy, I know) to flip through the pages and see what the amazing deals are for the week. 3. I shop three ads, so I make a list for each store (see printable below). I use a pencil with my lists because after one store's list is complete, I may find the next store has better prices on the same items I want, so I take them off the first store's list, and move them over to the next. Sometimes an item gets moved from one store to the next, to the last. It pays to shop around (in your ads)! 4. Once my lists are complete for each store, I add to my 'other' list (see below again). Items on my 'other' list are things that I know we're out of, but weren't in the ads, or anything else I might need for a recipe that week. 5. Then I make my menu for the week. My menu is made based on what's on sale. If I find a great deal on chicken, then we're going to have a few chicken dishes that week. It's strawberry season, and there are tons of great deals on them lately, so we have a lot of strawberry dishes (in fruit salads, fresh, in desserts, in smoothies, on cereal and yogurt, etc…). So, here's a little grocery store shopping list/menu I've made up. I love a cute list (it makes me want to use it when it's cute) just as much as I love a good deal, so the two of them are the perfect combination. The three lines in the left column are where you can write the name/s of the stores you shop. I left the store names off so you can add your own stores, but I would put Days, Ridley's, and Smith's. Then under each store I put the items from the ads I want to buy. Under the 'Other' box in the right column I put a list of other grocery items I need that weren't in the ads. 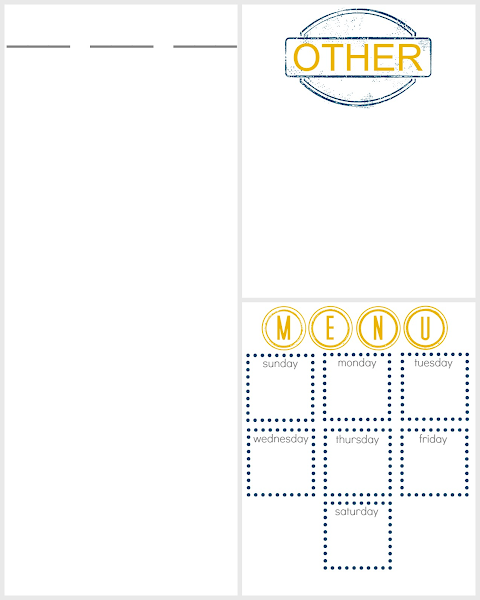 Finally, under the 'Menu' box in the right column I make my menu for the week. This format works for me, and you can give it a try to see if it helps you. If not, use it as a starting point, adjust it, and make up something that does work for you. One more tip on grocery store ads. Make sure you know the days of the store sales. Two of my grocery stores have the same sale dates (new ads begin on Wednesdays), but the other store I shop doesn't. Be careful not to miss a fantastic deal just because you missed the date. I've done it before, and it's totally frustrating! Well, I hope some of these tips help you out in your grocery shopping and menu planning endeavors. At least maybe you have some food for thought now, and you can come up with a system that works for you. Ha! I totally get it...the thrill...the excitement Wednesdays bring...glad I'm. It the only one out there. : ) thanks for the printables...will have to try them out! So cute! So glad you get the thrill factor as we'll, Rach! Nothing better than a good deal on a necessity! I would not hesitate to thank you for sharing the nice post. Gather lot of information from your article.